Georgia’s rental cabin in the gorgeous “Valley of the Castles” near Crested Butte! 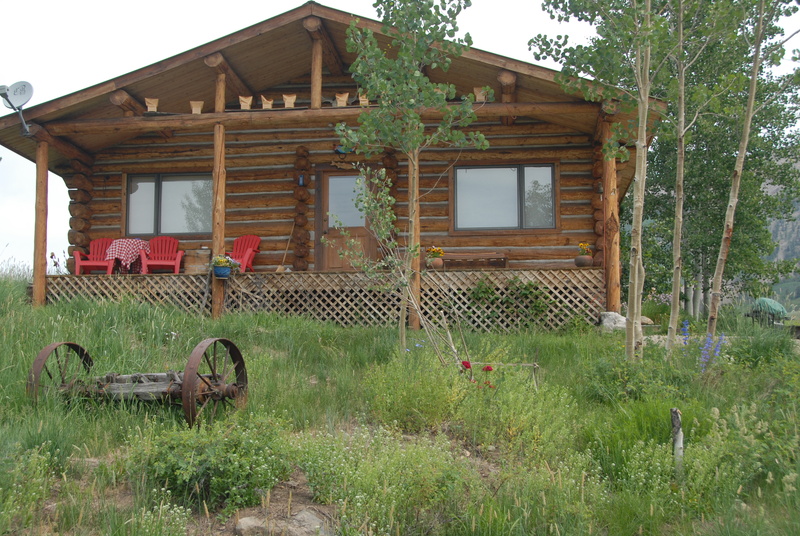 Welcome to the Rockin 3AR rental cabin in the Ohio Creek Valley, Gunnison, near Crested Butte – petfriendly, hunting, and rockin’! 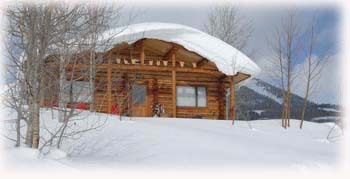 The Rockin 3AR Cabin, located near Gunnison and near Crested Butte, Colorado, is the perfect cabin to base your stay in our beautiful valley of the Castles. 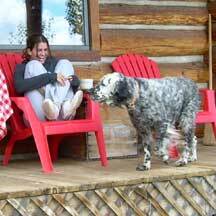 This is a hunting cabin in the fall – we are definitely petfriendly, dogfriendly, you name it! Bring your dog! It is heaven for them. 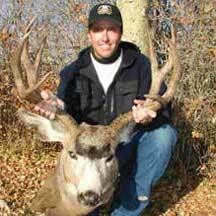 Whether you need lodging for hunting, an intimate Christmas Log Cabin, or a summer vacation rental, We have access to the Gunnison National Forest into the West Elk Wilderness, Where the horseback riding, hiking and the like is fantastic! Bring your family and enjoy our cabin for rent as if it is your own. Within a short driving distance you will find an adventure to suit your taste. 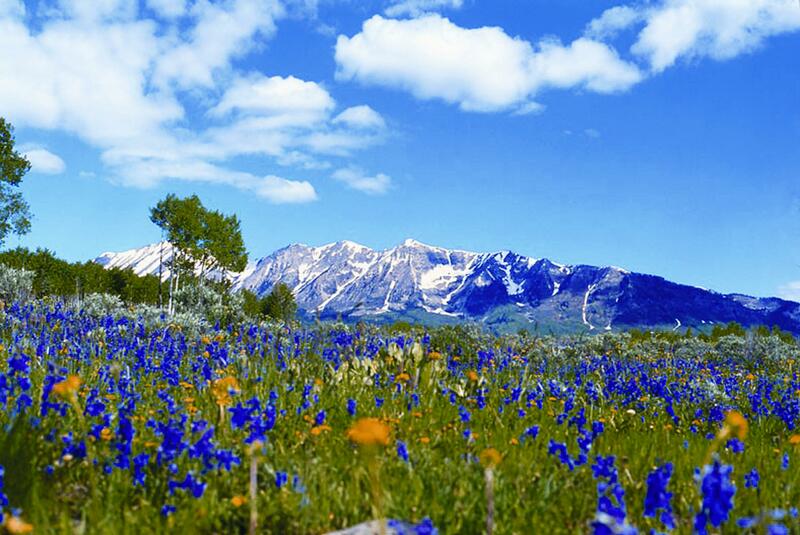 Crested Butte offers world-class skiing, shopping, biking, hiking trials, and historical treasures. Speaking of historical treasures, the cabin is located near the ghost town of Baldwin which can easily be seen from the main road. Rafting is an exciting summer-time activity -there are also two large reservoirs, Blue Mesa and Taylor within a 30 minute drive for boating, lake fishing, and windsurfing. Fishing is fabulous in the beautiful natural lakes and streams within the area. If 4-wheeling is your style, there are multitudes of trails at varying degrees of difficulty in the valley. Build a huge fire and gaze up at the stars from our firepit. 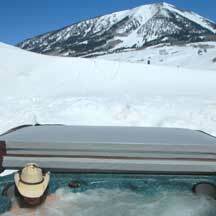 Relax in our outdoor hottub and watch the eagles fly! We can arrange horseback riding for you! We can also arrange to board your horses if you would like to bring them with you. Our private access to National Forest Land offers amazing horseback rides right from the property. Please contact us if you have any questions, special needs, or to make a reservation. We will take care of you and we look forward to hearing from you! We can accommodate small special events!
. Drop a line in our private, cool mountain creek, or drive a short distance to gold medal fly fishing in Almont on the Gunnison and Taylor Rivers. Enjoy the firepit and stargazing at night at the cabin, or step out to one of the many fine restaurants in Gunnison, Almont, or Crested Butte.